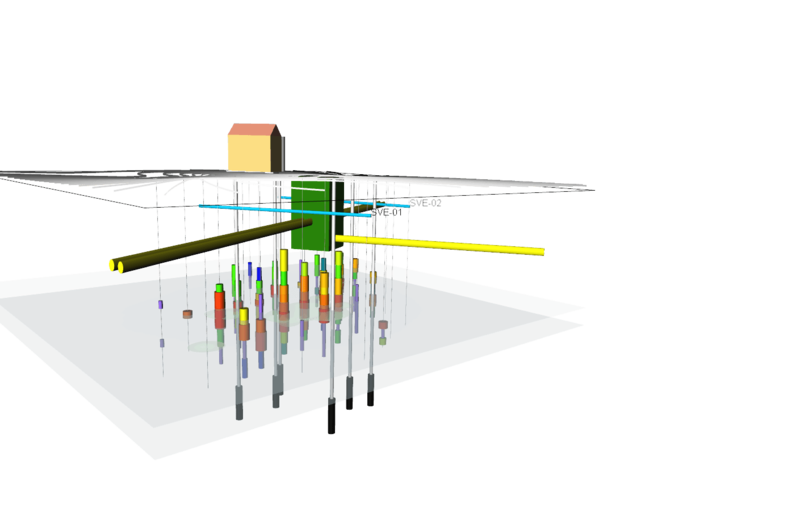 Users often combine Golden Software's mapping and griding software products to produce their final project. In the summer of 2007, a study was conducted by Dr. Richard Crawford of the Prince William Sound Science Center (PWSSC) in conjunction with the Valdez Fisheries Development Association to develop a tool to enhance the evaluation of fish abundance with their commercial-grade echo sounders. The goal was to maximize the harvesting of brood stock at the Solomon Gulch Hatchery. For their analysis, PWSSC used a combination of Surfer, Voxler, and Grapher to complete the study of Enhancing in-house assessment of pink salmon returns at Solomon Gulch Hatchery in Alaska. See the full report for additional information. Prince William Science Center, located in Cordova, Alaska. shape of the fish schools to be displayed. distribution along a bathymetric feature. shelf break (light and dark blue patches). at the West School (left) and East School (right). modeled distribution of the schools of fish. 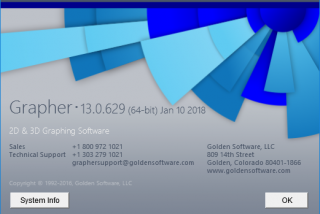 Grapher 13 has landed - experience these great new features today!